It is almost impossible to see the words Sunset Beach and not think of paradise. While the name seems made up, Sunset Beach is a real place that lives up to its name. Sunset Beach is the southernmost Brunswick Island off the southern coast of North Carolina. 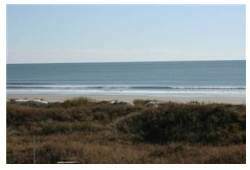 With three miles of gorgeous, family friendly beach, there are plenty of Sunset Beach NC house rentals here that you are sure to enjoy. Our home rentals will not only provide you with a quite a bit of space, but also more privacy and a better selection of amenities. All of our rentals come fully furnished, with fully equipped kitchens along with linen service. Private hot tubs and pools, gourmet kitchens and designer decor, flat screen televisions and high speed internet await you. Also included with Sunset Beach NC house rentals are big decks, often overlooking the beach, and sandy hideouts boasting incredible views of the ocean. After you arrive at this special place walk in, drop your bags, take a deep breath and get busy with some serious relaxing! Surfer’s World Travel Guide named Sunset Beach, North Carolina, as one of the 5 most amazing places to surf in the world. It’s in such company with beaches in South Africa, Australia, Indonesia, and Spain — no surprise to the locals who love to surf here. Here you’ll discover top-rate surfing opportunities for experienced and highly skilled surfers. The huge and powerful waves mean this is no place for beginners! Experienced surfers can enjoy trying out classic tubing waves which occur frequently. The professional surfing competition, the Pipe Masters, is held at Sunset Beach annually. The ideal time to surf at Sunset Beach, North Carolina, is between November and March. For some, relaxing may mean a day of shopping and a laid back lunch with a cocktail in hand. For others, it may mean a round of golf on a championship course or a day on the water, cruising along the Intracoastal Waterway. If your idea of relaxing is strolling along the beach, making friends with the seagulls while feeling the white sand between your toes, then there’s plenty of relaxing awaiting you. Collect a few shells while you’re here, we have plenty to spare! And don’t worry if you find yourself in a meditative state while staring at the tides, it happens here a lot. We understand.